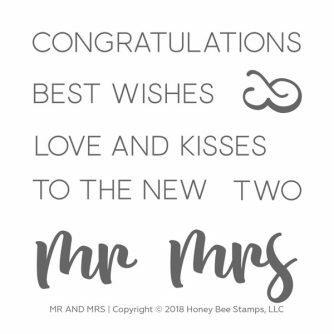 The Mr and Mrs clear stamp set by Honey Bee is a smaller 4×4” stamp set containing 8 stamps for all your wedding cards. The typed sentiments can also be used on other cards too. There are two different fonts in this stamp set.